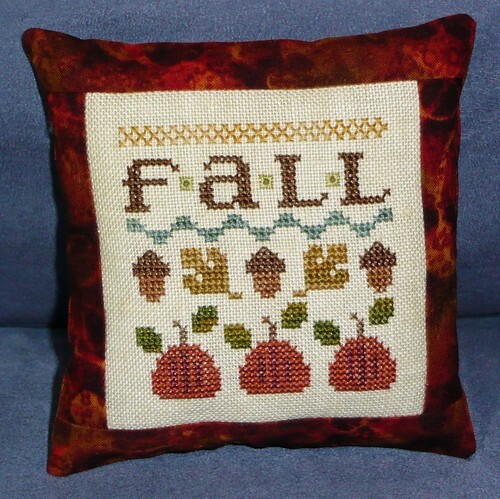 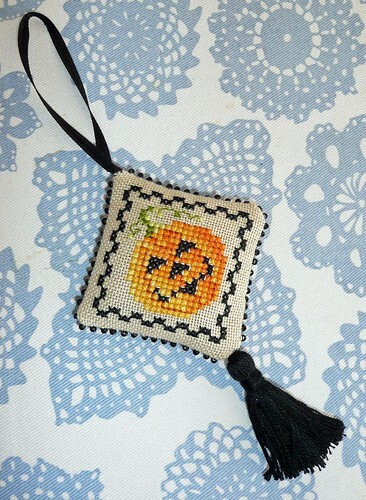 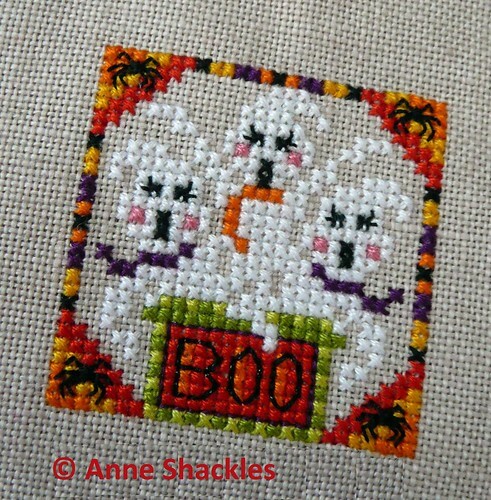 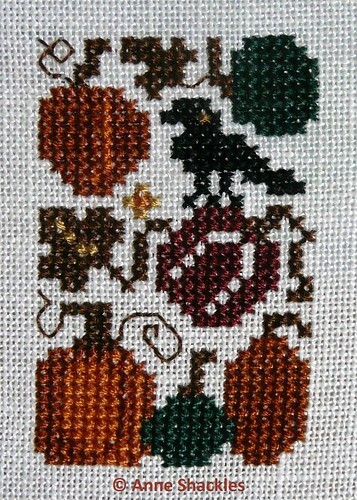 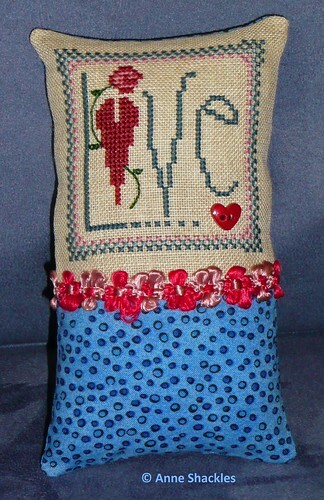 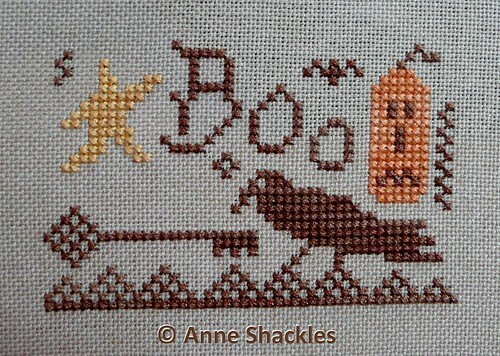 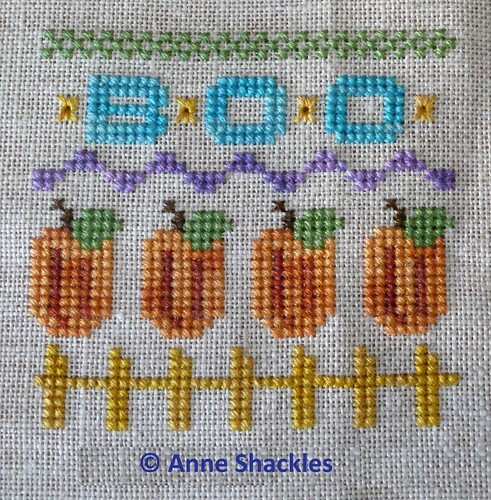 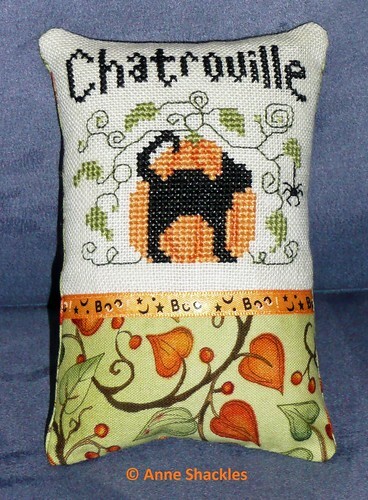 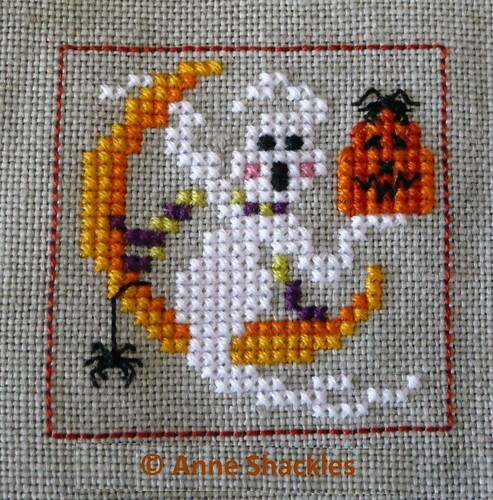 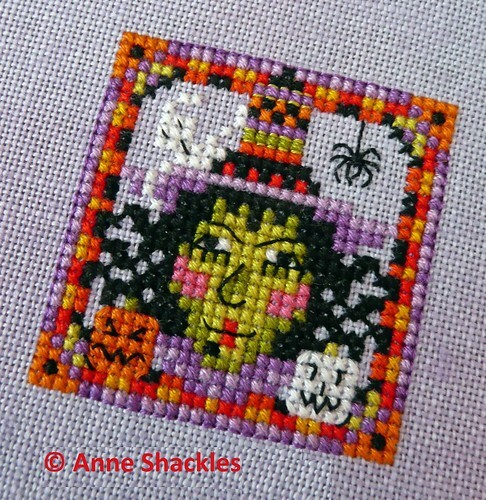 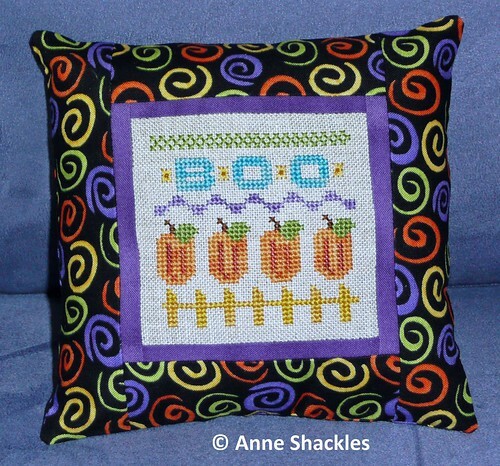 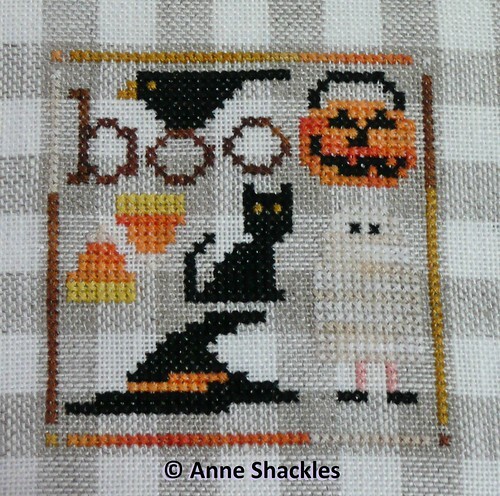 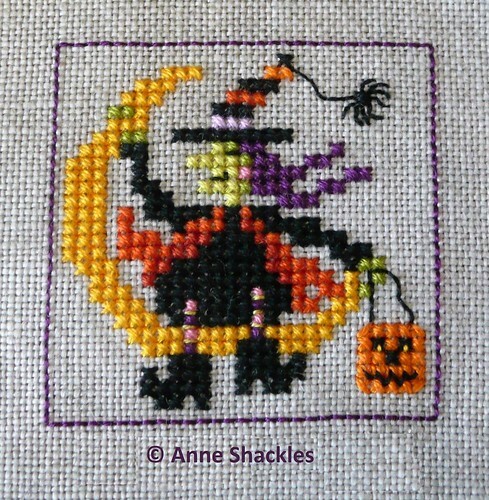 I managed to get a whole heap of stitching done yesterday – I put the finishing touches into Scream Girls, then started and finished Pretty Wicked, also by Just Nan. 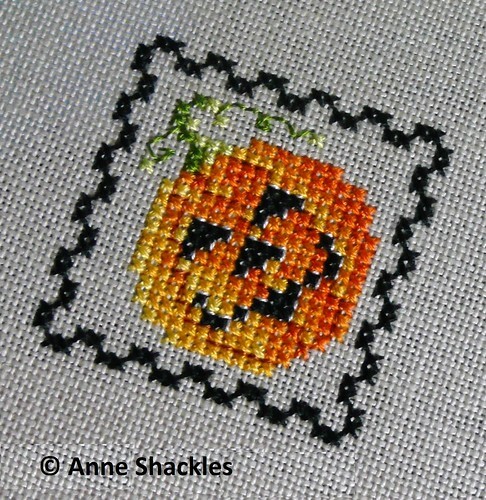 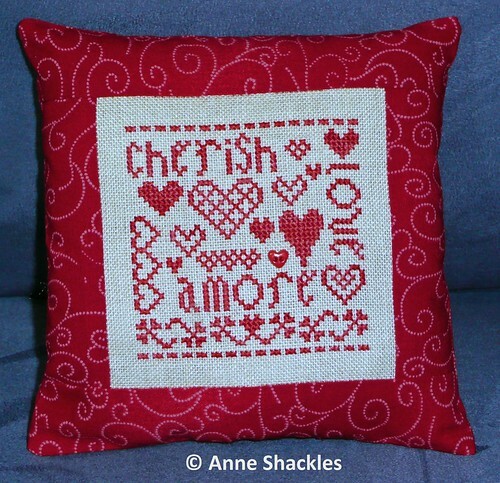 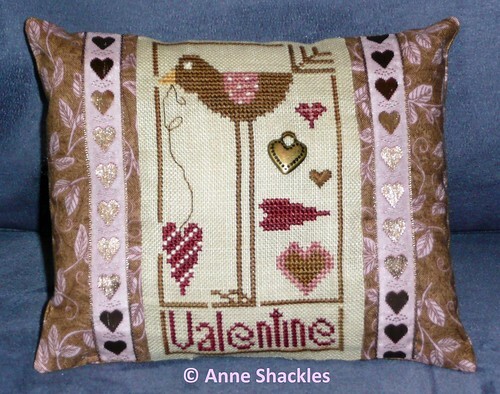 This afternoon I intend having another lazy afternoon stitching, as I’m still trying to catch up on a month’s TV viewing from when I was on holidays – hopefully by the end of today I’ll be relatively caught up! 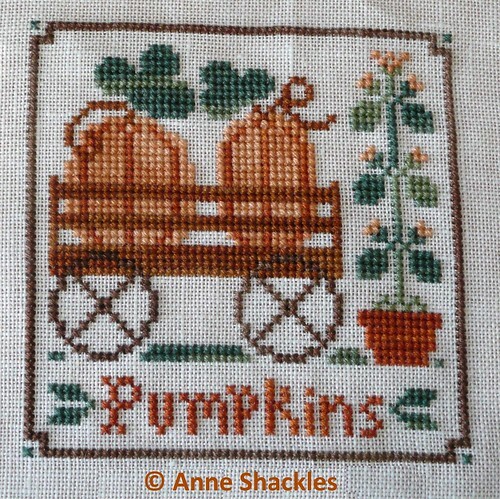 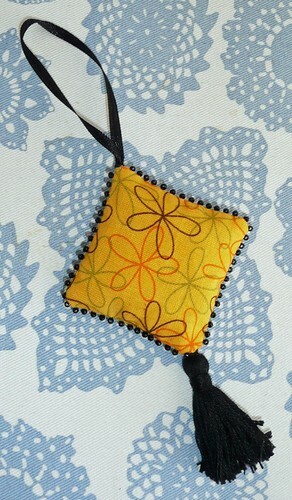 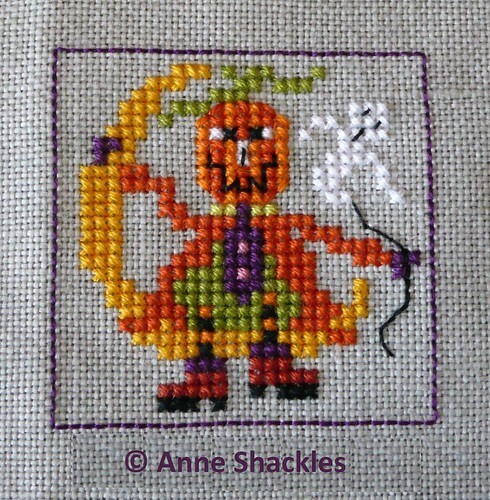 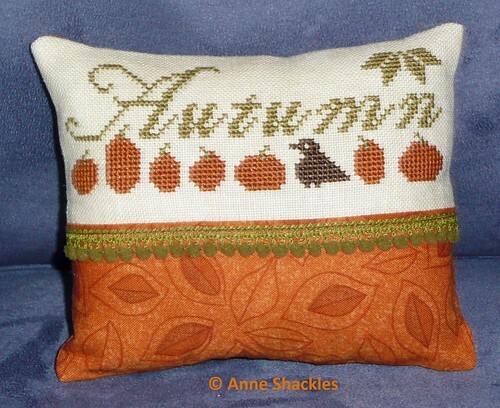 As you can see I have been sat on my backside all afternoon, and have managed to start and finish another wee pumpkin for the Great Pumpkin Challenge 😀 This will probably get turned into a scissor fob, which is what it’s designed to be … either that or an ornie … I’ll decide when I get home and have my finishing fabrics etc within reach. 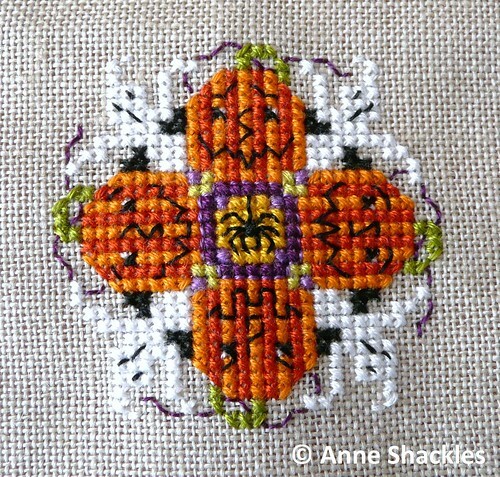 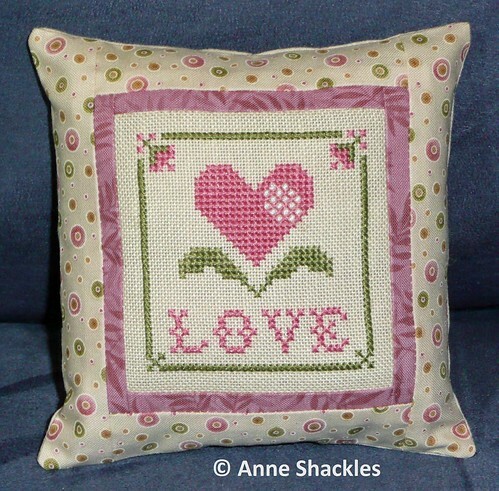 This was originally suggested to be stitched on light purple fabric … I think I may just have to restitch this one again as I think that would really make the colours pop even more than they do now! 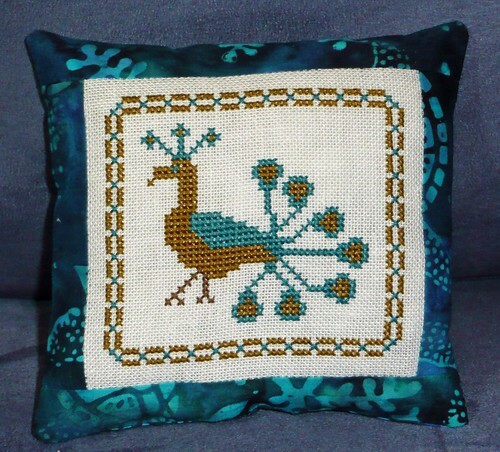 The threads are really bright in real life, so once again my late night photography efforts under the Ott-lite have washed the fabric and thread colours out.